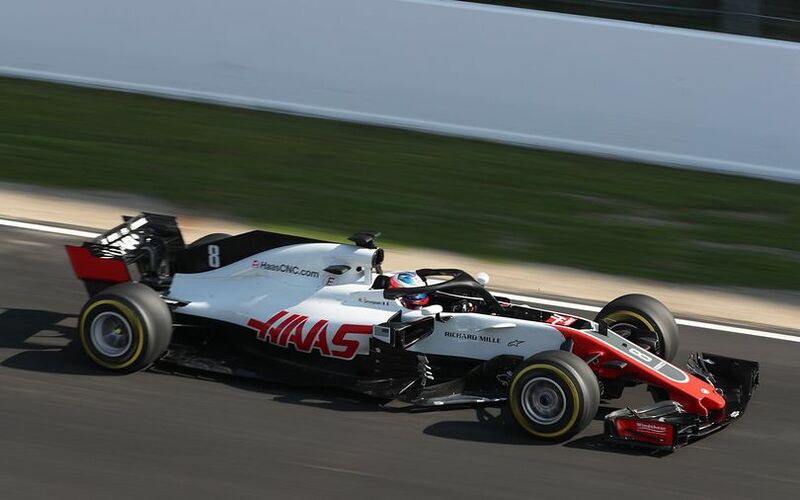 Antonio Giovinazzi set the fastest lap time during the morning session of the first test day at the Hungaroring. The most diligent was the New-Zealander Brandon Hartley, covering a total of 94 laps around the twisty layout of the Hungarian race circuit. F1Technical's Balázs Szabó reports from the track. Giovinazzi set a lap time of 1:19.648 on Pirelli’s soft tyres to top the morning time sheet ahead of McLaren’s Lando Norris. The Italian completed shorter runs before switching for constant-speed runs to carry out aerodynamic tests. 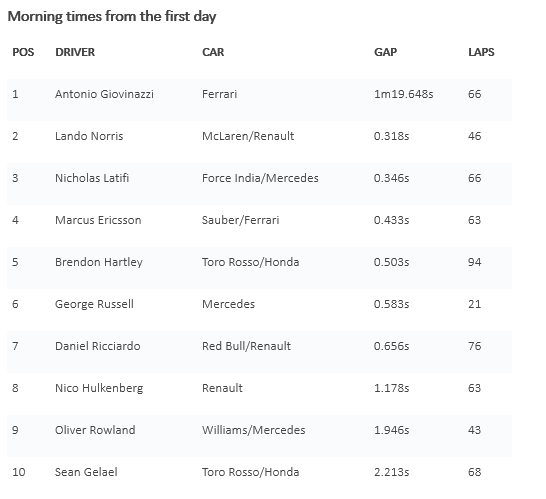 Force India’s Nicholas Latifi was third after the first morning, 0.346 seconds behind the fastest driver and with a total of 66 laps to his name. Brandon Hartley usurped his rivals at the top of the sheet for the mileages covered during the first four hours. The Toro Rosso driver covered a total of 94 laps on the 4.381km long Hungaroring. Mercedes is working with current Formula Two championship leader George Russell, but the Briton only managed 21 laps over the first morning session. Daniel Ricciardo completed 76 laps while bringing Red Bull's very first 2019 front wing design to the track, as well. Nico Hülkenberg was working on longer runs in his Renault R.S. 18, starting the stints strongly, but continuing with fading pace after a few laps on the very hot asphalt of the Hungaroring.